Home to a group of experts when it comes to garage door springs is Automatic Garage Door Lakeside. A garage door company that only employs technicians with tons of experience working with garage door springs. Our office in Lakeside offers the widest array of services most especially when it comes to handling door springs because we know how dangerous they can be to work with especially for someone who do not have the training or experience. Two kinds are being used on garage doors these days. One is the Torsion spring and the other is the Extension spring. Our contractors know everything there is to know about spring repair or replacement and we offer the best services to our customers at all times. 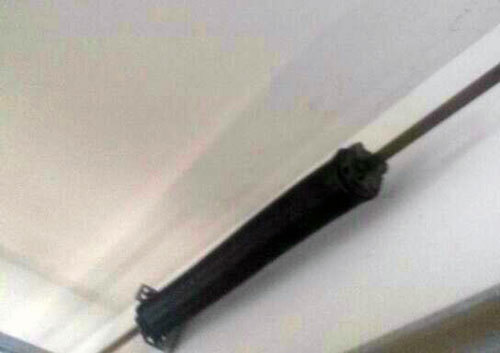 Installed on heavy doors and mounted on top are the torsion springs and come in pairs. If one is defective, it often causes the other to break as well. Extension springs are installed on the sides of the door, usually on the light ones. There have been instances where people were hurt or killed while attempting to repair or replace their garage door springs. Always call a professional to do this for you. Good news for homeowners is that we offer galvanized springs which are made to last for decades. These are bonded with zinc and iron to for a certain metallic reaction, which helps make them withstand wear and tear making the need for repair or replacement hard to come by. Automatic Garage Door Lakeside will take care of this for you; all you need is to call us so you and your family can stay safe. An additional accessory that you might want to add for convenience is garage door opener. We can install one for you or replace old ones. We have reliable brands to choose from like Chamberlain, Liftmaster, Genie, Sears, Marantec and more. We have them in belt, chain and screw drive motors. We can discuss these options with you so you can decide well. It is very important that you get regular maintenance as well as adjustments whenever necessary because it helps prevent any damage from progressing thus prolonging the life of your garage door. We have certified and highly trained technicians who can do this for you anytime. For brand new garage door installations or replacement, we have a variety of doors with different materials like glass, wood, steel, and aluminum. Trust that we have everything you need when it comes to functionality and aesthetics purposes. When it comes to repair, we offer emergency services anytime of the day or night all week. We handle all types of repair like bottom rubber replacement, panel replacement, fix door off track, weather strip, and emergency release repair. You do not need to look any further for any of these services. We offer quality workmanship at the most affordable rates. Automatic Garage Door Company Lakeside is a one-stop shop garage door company. We have every garage door parts and accessory, we offer all types of repairs and installation jobs. Most importantly, we offer a safe and quality job all the time. Call us if you have questions or concerns regarding your garage door and we will be happy to address and resolve it for you in the least amount of time and rate.